This morning I decided to do an early run around St. James Park, Whitehall, Trafalgar Square, Buckingham Palace and Green Park. 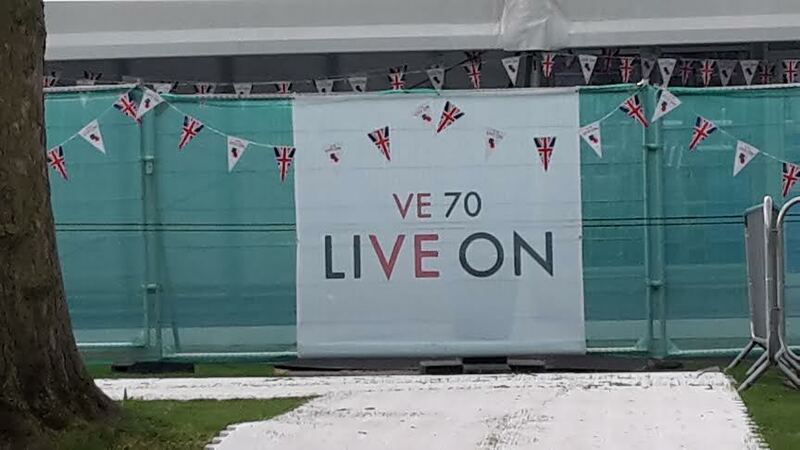 I had heard of the many festivities for the 70th anniversary of VE Day and I wanted to check them out. Since I am not one for standing among crowds of people, I was hoping this would be a good opportunity to see things without the crowds. Surprisingly, running early was a good thing. 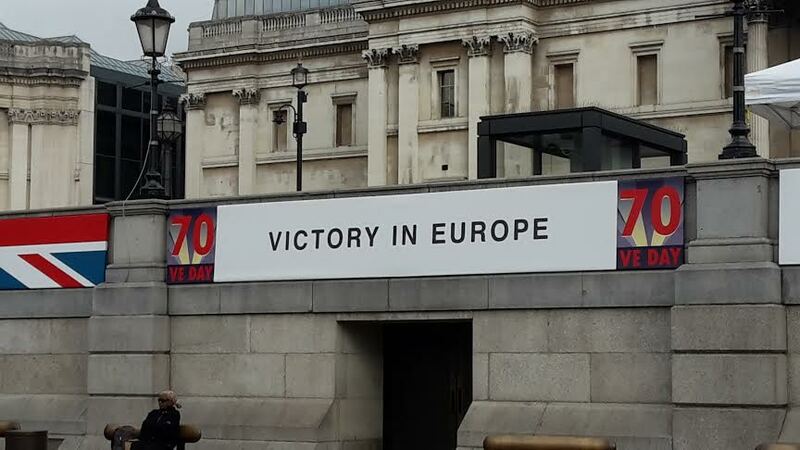 When I left the house I ran up Exhibition rd, took a right on Kensington High street and made my way to the entrance of the Mall. 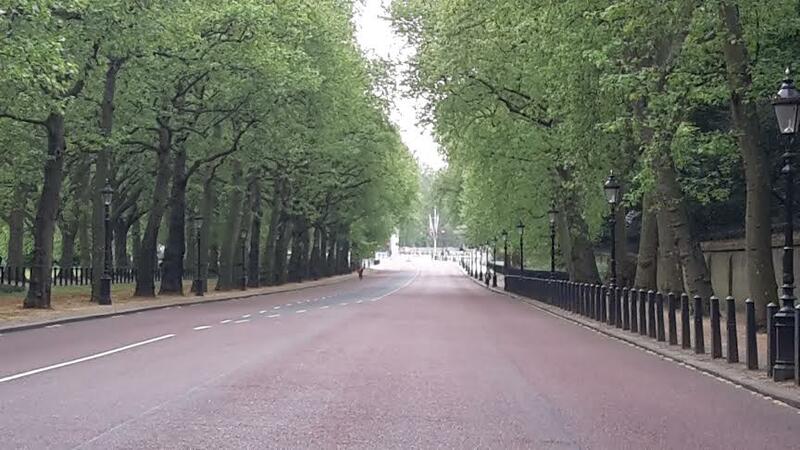 After passing some security guards at the entrance of the mall it was eerie running down the Mall by myself between Green Park and the gardens of Buckingham Palace. 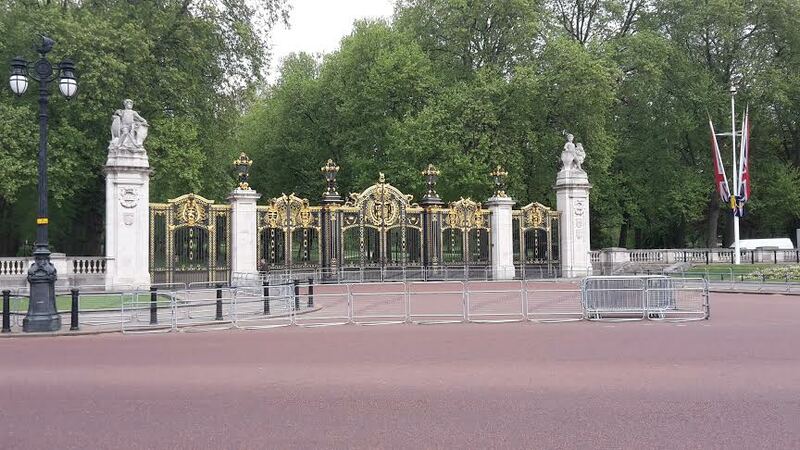 When I reached Buckingham Palace I stopped to see if anything was going on, if it was decorated in any way….but no, just like Christmas the Queen is not much for accessorizing. I guess he subjects are happy she is not being frivolous with their money. 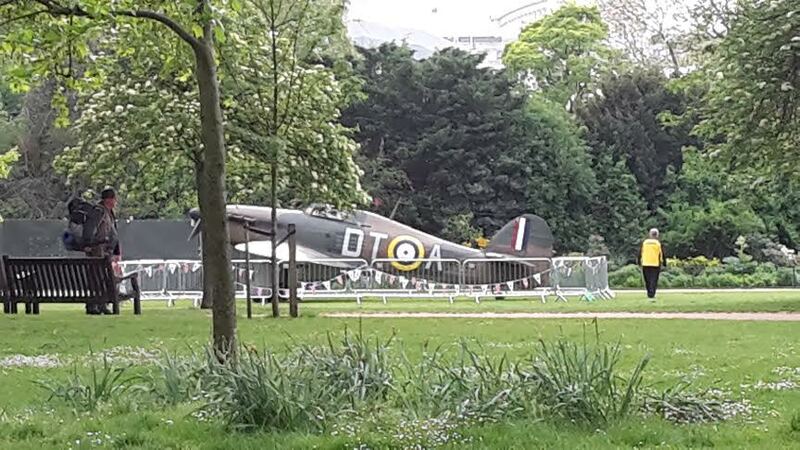 After the Palace I followed my route down Pall Mall along St James Park. 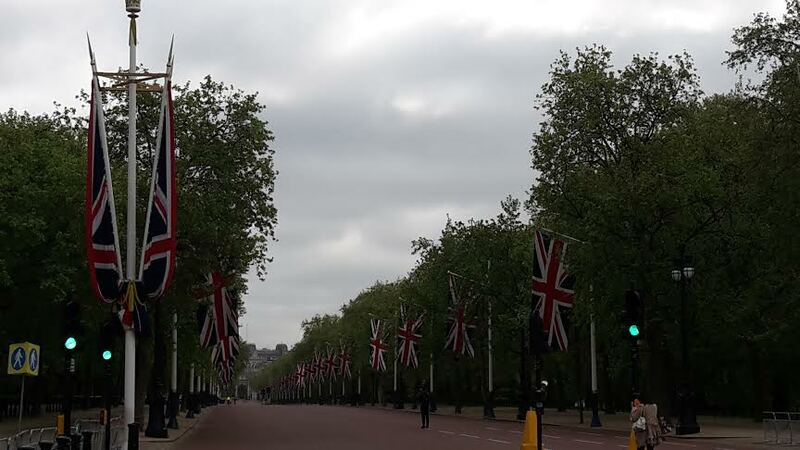 Again, pretty cool to be able to run all by myself down Pall Mall. 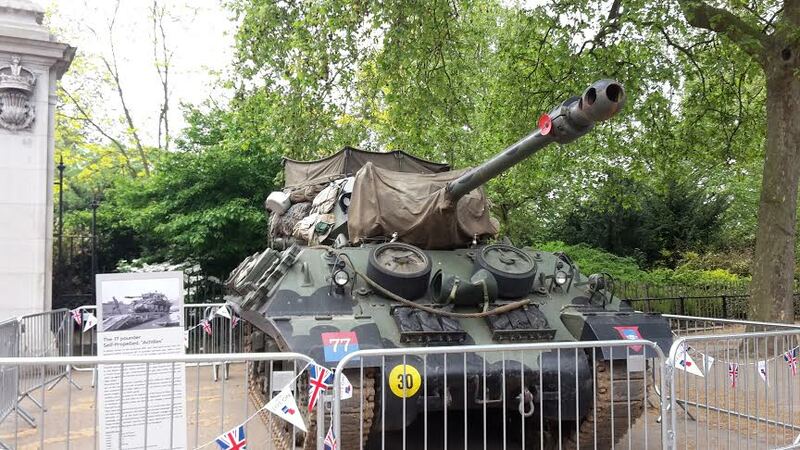 Looks like there is a huge exhibit of military artifacts in the park but I could not enter. The guards were on duty and the exhibit was not quite opened yet. 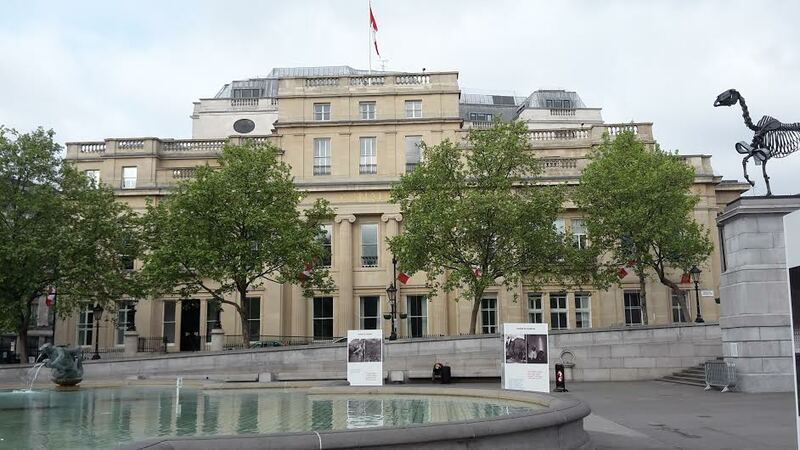 After the Mall I took a left to go see if Canada House at Trafalgar Square had done anything special. Nope, not really. 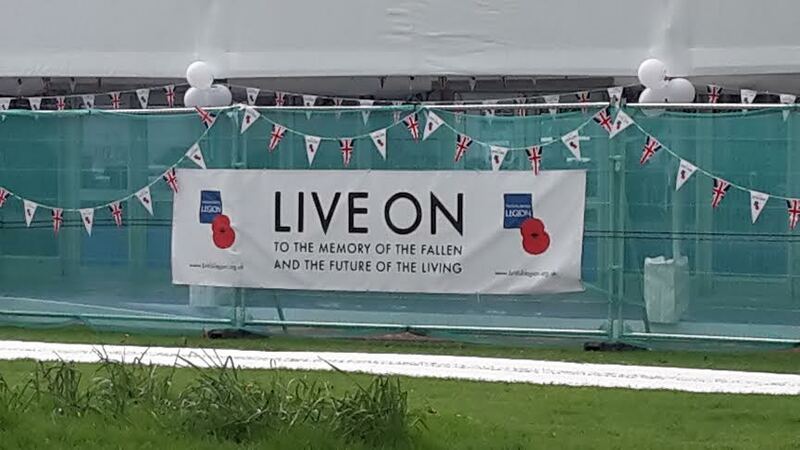 Just like the Queen, Canada House doesn’t really spend money on fanfare. Economic austirity is the norm I guess. 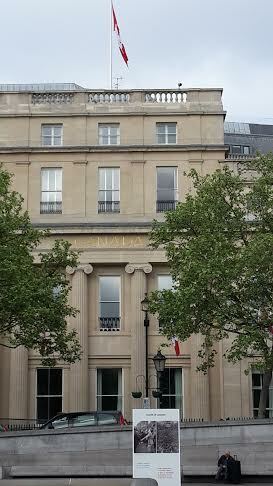 Still, I stopped and took pictures of the newly renovated Canada House. Once some photos were taken, I decided to run away from Trafalgar Square and towards Westminter Abbey and the Parliament. 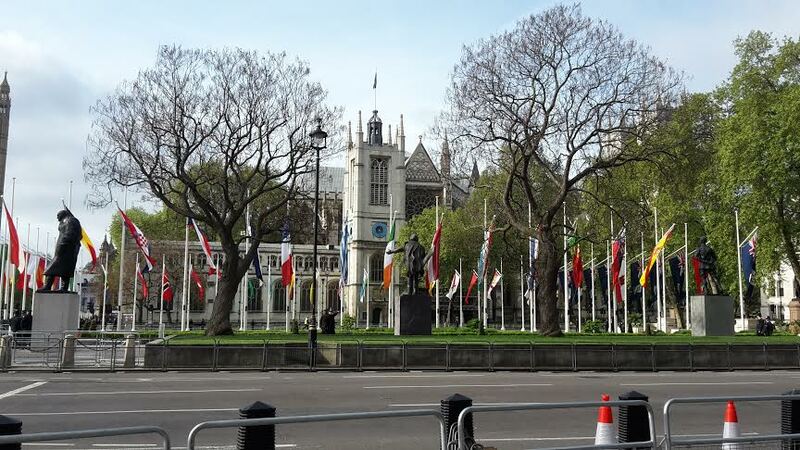 In the park in front of the Abbey are the flags of the many allies. 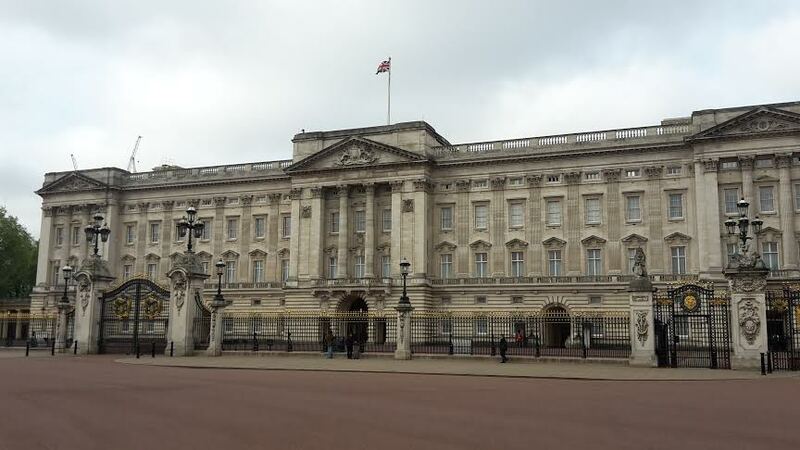 I turned right and ran back down alongside St James Park and back toward the palace. There I decided to cross the Canada gate and cross Green Park. 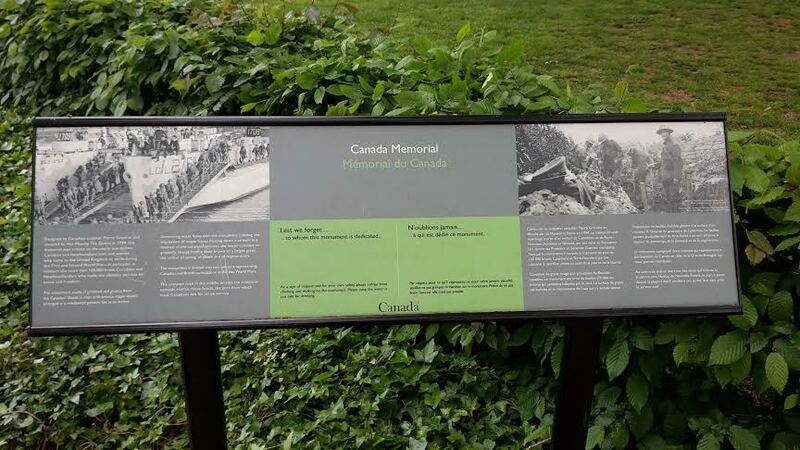 Once I crossed the gate I had to stop at the Canadian Memorial and take a photo of the wreaths laid down in front of the memorial fountain on behalf of Canadian soldiers. 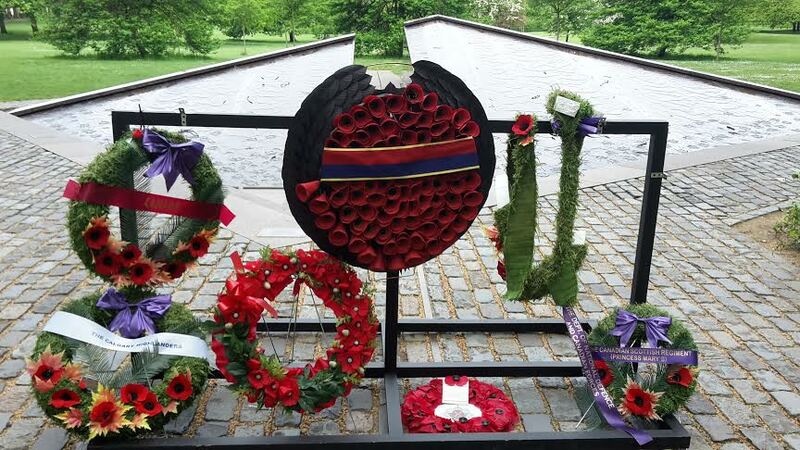 “Lest we forget”, “N’oublions Jamais”. This was my last photo. I climbed up the road up Green Park and emerged on Piccadilly street. I crossed the street, took a left and ran towards Hyde Park and made my way home. 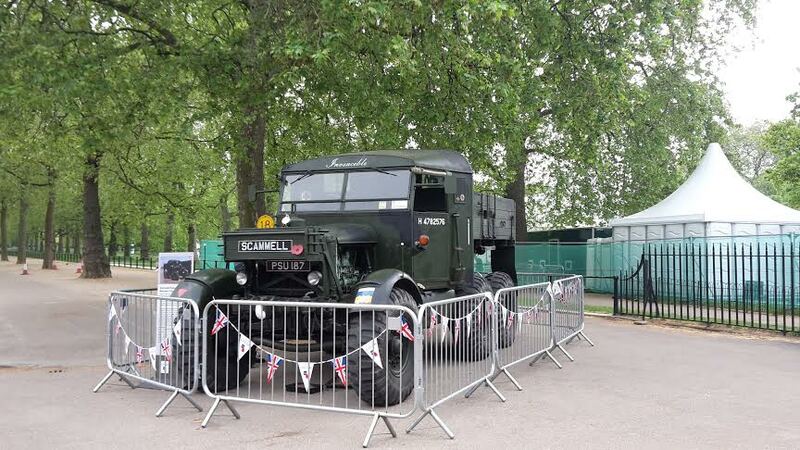 Happy 70th VE day, Happy Mother’s Day!